Which No-Tears Sleep Program is Right For You? If you're unsure which of the No-Tears Baby Sleep Programs would be best for you, let me help you find the one that'll be most helpful right now. To start, think of the sleep issue you and your baby have struggled most with in the past 2-3 weeks. Have a look at the checklist below of the program that has that issue in the title or is related most closely to it. Still unsure after that? Read the other programs' checklists too to fine-tune your decision. 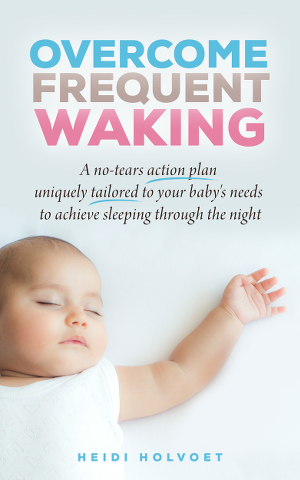 When to choose "Overcome Frequent Waking"
you like to have a clear and complete, interactive action plan for helping your baby sleep optimally. The most effective age to tackle unnecessary frequent wakings is 4-18 months. But also toddler-specific situations and solutions are included throughout this book, as are age-appropriate techniques for the youngest from 1-2 months old. All techniques are gentle enough to be safely suited for all ages, yet equally effective. When to choose "No Tears Self-Soothing"
you like a simple 3-step program to tackle your baby's sleep problem. The self-soothing techniques in this book are both gentle and effective enough to suit all ages. Prime self-soothing age is around 4-12 months but older babies can learn to self-soothe with these same principles. Always with age-appropriate goals (i.e. we do not expect a 2 month old to sleep for 12 hours straight). When to choose "No Tears Naps (aka Nap in a Snap)"
There is an optimal nap routine for every individual baby at every age. A pattern routine (e.g. 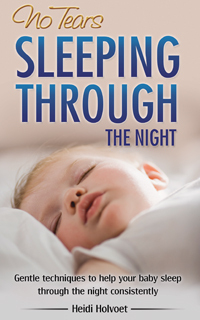 EatPlaySleep or PlayEatSleep), timed routine or a baby-centered routine: this book will help you discover what works best, whether your baby is just 1-2 months old, between 4-18 months old or a toddler. 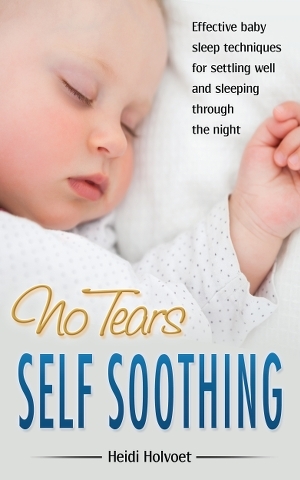 When to choose "No Tears Sleeping Through the Night"
The techniques in this book are safe and effective for all ages although most effective between 4 and 18 months old. If you're still unsure, please don't hesitate to email me at heidi@baby-sleep-advice.com, I'm always happy to assist! "We have several issues and I don't know where to start"
In this case, your choice is easy: Overcome Frequent Waking. It gives you a complete action plan to tackle even the most complex sleep troubles within its interaction action plan. "My baby sleeps mostly well but just always needs my help to settle & sleep"
If that's you, then No Tears Self-Soothing can be sufficient. It is a 3-step program to help your baby learn to settle and sleep independently. 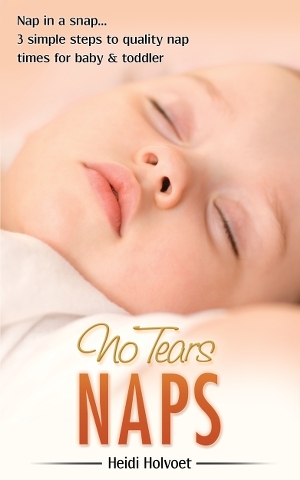 "My baby sleeps well at night but naps are not going well"
For this, No Tears Naps is your guide. With the award-winning 3-step program, you will find out the best-suited nap routine and daytime schedule to help your baby take her best naps. "My baby wakes just 1-3 times at night and I'd like her to stay asleep for longer." In this case, No Tears sleeping Through the Night is for you. You will learn to increase your baby's independence at night and help her stay asleep for longer.